This is a great source to answer some of the more commonly asked questions we see here - along with addressing lots of tech aspects for the DIY'er. Feel free to add any more good tech sites. I have been going here a bit for other peoples thoughts and ideas. 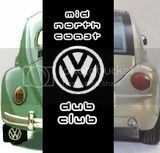 This link is to a project aimed at collecting VW documentation. It has factory tools & the blueprints to make them and also has all the specifications for every measurement on all parts, eg, dimensions, clearances, allowable wear tolerances, torque wrench settings etc. i use this one to get diagrams to help explain in emails the exact bit i need. other good info there too. Well Rob is a member of this Forum.... comes from Adelaide... SA..
if you need info on your t3 / t25 wedge vw, go to "brick-yard" a uk site then click on info, theres everything inc all the M-codes! You have to believe in something for it too become true!! That aircooledtech.com site is awesome!!! If you drive an aircooled Volkswagen be proud of it and leave the aircooled engine in it!!! '58 Bug 36hp, 70k original miles + as straight as a die! all the manuals in pdf for type1 to type4. wow this is perfect. time to start ordering parts! !